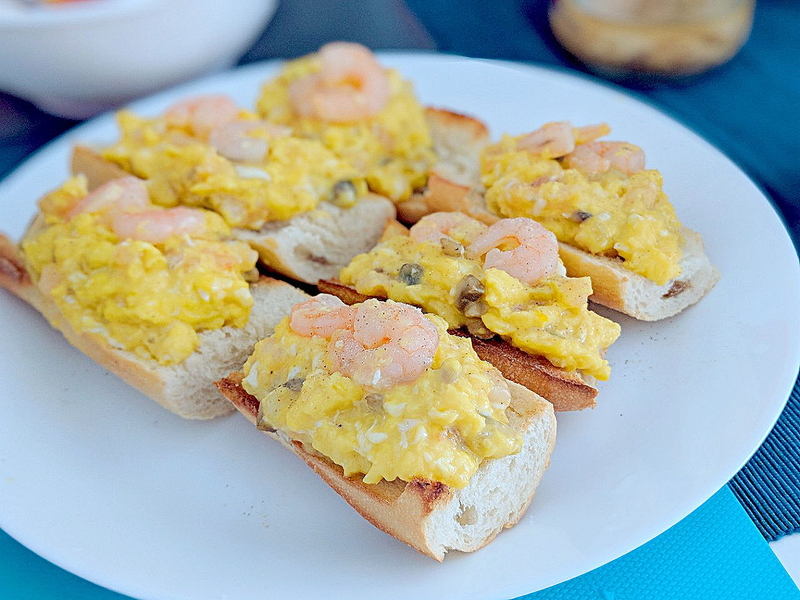 How to prepare Creamy Eggs, Prawns and Mushrooms Pinchos? Recipe included! 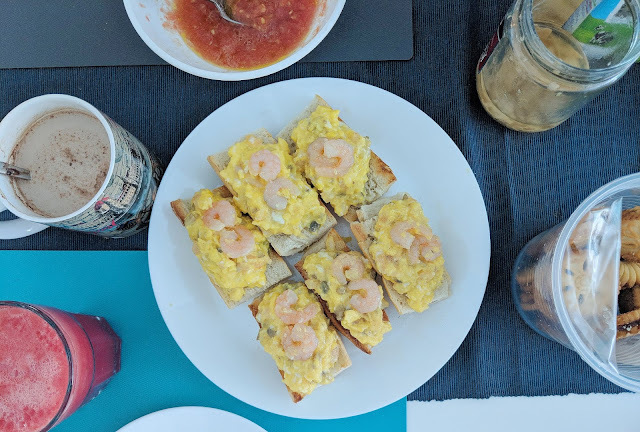 Today, I am going to try preparing Pinchos - a Spanish snack usually with delicious food on small pieces of toasted bread. These Pinchos are perfect for breakfast and even parties. To achieve the creamy effect of scrambled eggs, it is very important to cook the eggs over low heat. Move the pan away from the fire if it gets too hot. For the prawns used in this recipe, I chose to use frozen cooked shrimps. You may replace with fresh prawns. If you enjoy reading my post, feel free to share with your friends, especially eggs and bread lovers. Enjoy! Crack 4 eggs into a bowl. Chop mushrooms and onions into tiny cubes. Chop 150 grams of prawns into tiny pieces. Add olive oil to non-stick frying pan. Turn on the stove to medium heat. Fry chopped onions, mushrooms and prawns in the pan until you smell an aroma. Turn the stove to LOW heat. Pour egg mixture onto a non-stick frying pan. Scramble egg mixture until the texture is creamy and cooked. Fry 100g prawns in pan. Scoop cooked egg mixture with a spoon onto toasted bread. Top egg mixture with whole prawns.